TOM ARTHURS AND ISAMBARD KHROUSTALIOV-VAUCANSON’S MUSE-VINYL EDITION. Trumpeter Tom Arthurs and electronic musicians Isambard Khroustaliov have been friends for the best part of ten years. During that time, they’ve been involved with the Not Applicable record label and collective. 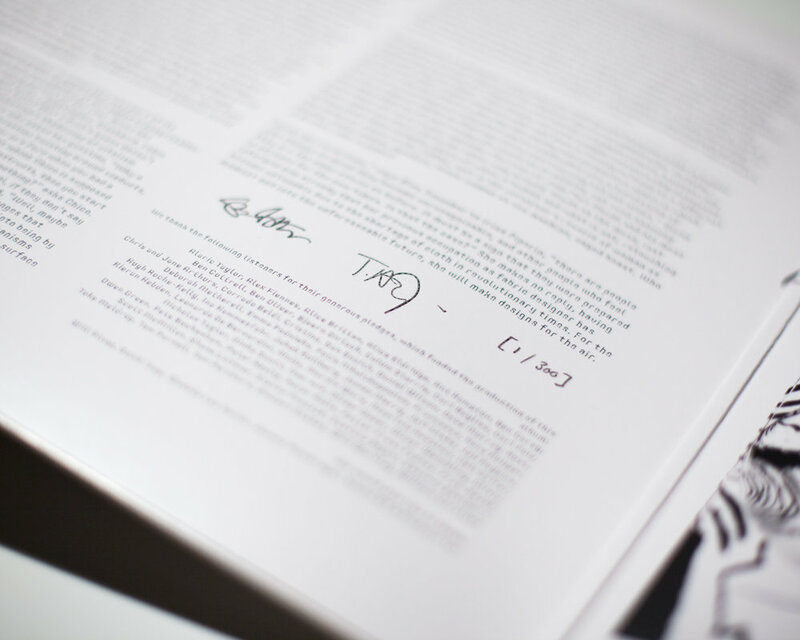 It organised an English tour of Graphic Scores back in October 2013, that inspired Tom Arthurs and Isambard Khroustaliov to record an album together, Vaucanson’s Muse. The Graphic Scores tour was funded by the Arts Council, and began on the 3rd of October 2013. This was the first of six concerts by the Not Applicable collective. Their lineup featured the combined and considerable talents of Oliver Coates, Elaine Mitchener, Tom Arthurs and Isambard Khroustaliov. They were lead by pianist and band leader Joanna MacGregor and played composed and improvised music that had been realised with the use of graphic scores. Each night, the Not Applicable collective charted the history of graphic scores. This was where composers used visual symbols to convey musical information. It was, and still is, often used instead of, or in combination with traditional musical notation. One of the pioneers of graphic scores was John Cage. So it was fitting that the Not Applicable collective revisited his 1952 composition Water Music. This pioneering composition paved the way for the other artists that the Not Applicable collective celebrated on the Graphic Scores tour. Among them, were Cornelius Cardew who wrote Treatise between 1963-1967, and George Crumb who wrote Makrokosmos in 1972. Pulitzer Prize. Thirty years later, Pulitzer Prize winner Wadada Leo Smith’s wrote Luminous Axis in 2002. Bringing graphic scores to a new audience was Jenifer Walshe, who wrote This Is Why People O.D. On Pills and Jump From The Golden Gate Bridge. It became part of the Not Applicable collective’s setlist during what was essentially, a celebration of Graphic Scores. The tour ended on 11th October 2013, in Oxford. For then, two members of the collective, the tour had been an illuminating and inspirational one. So much so, that trumpeter Tom Arthurs and electronic musicians Isambard Khroustaliov had changed over the course of just eight days. It had been an informative experience for the two friends, who came from very different backgrounds. Tom Arthurs was an experienced jazz musician, who had recorded for various labels. Sam Britton a.k.a. Isambard Khroustaliov, had a background in dance music and algorithmic composition. Despite coming from very different musical backgrounds, the pair decided to head straight to the studio and record an album. This was a first for the pair. Tom Arthurs and Isambard Khroustaliov had been involved in projects, but had never recorded an album together. These improvised recordings became Vaucanson’s Muse, which was recently released via Not Applicable’s Bandcamp Page. Vaucanson’s Muse is a limited edition of only 300. 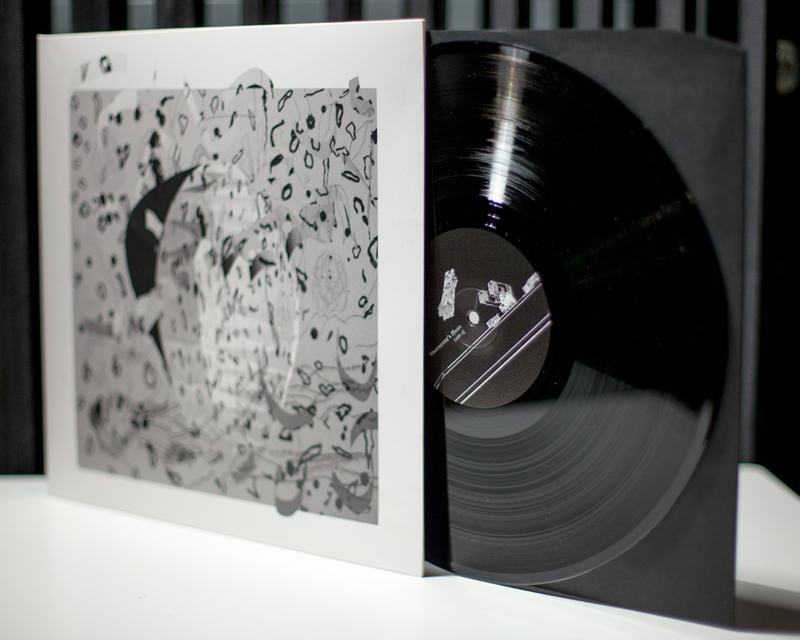 It’s best described as a lovingly curated release, which oozes quality. 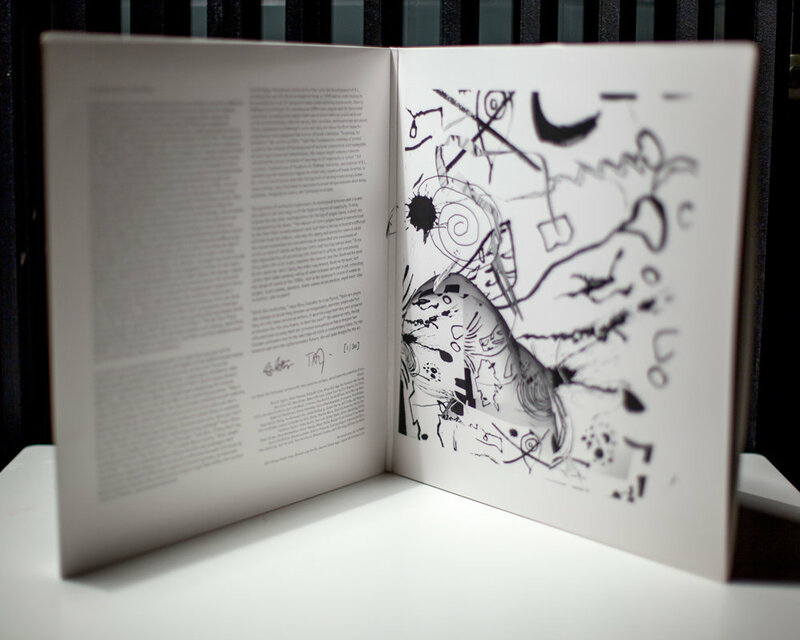 That’s the case from the artwork of architect Will Alsop to the sleeve notes of author and musician David Toop. They strengthen the themes hinted at throughout Vaucanson’s Muse, and that’s the music of unknown worlds constructed through symbolic and geometric abandon. This is fascinating and thought-provoking, just like the music of Tom Arthurs and electronic musicians Isambard Khroustaliov. Both men have enjoyed lengthy careers, and from very different musical backgrounds. In the case of Sam Britton, he never intended to embark upon a career in electronic music. Instead, he enrolled at the Architectural Association in 1996. Not long after this, Sam began writing electronic music. Within a year, he was recording for an independent label. This included with Ollie Brown as Icarus. They would release six albums between 1998 and 2010. Icarus released albums for labels on both sides of the Atlantic, including Output Recordings, Temporary Residence, Domino and The Leaf label. However, just a year after Icarus released their debut album, Sam’s time studying architecture was over. His musical career, however, was just beginning. Over the next few years, Sam Britton juggled several careers. He was a member of Icarus, and a member of the trio Fiium Shaarrk. Sam had also dawned the moniker Isambard Khroustaliov, and collaborated on six albums between 2006 and 2013. Isambard Khroustaliov released his debut solo album Ohka in 2009. Meanwhile, Sam Britton was forging a successful career as a composer. That had been the case ever since 2002. Sam Britton began composing music for television, film, animation and new media. He quickly established a reputation as a talented composer, and was working with many of the biggest British television companies. Despite this, Sam was keen to further his musical education. Away from making music, Sam Britton was a keen student of music. In 2006 he completed a Masters course in electronic music and composition at IRCAM in Paris, France. Then in 2011, Sam began a Phd in composition under the supervision of Richard Barrett, Peter Wiegold and Christopher Fox at Brunel University. This Phd Sam was in the throes of, when he embarked upon the Graphic Scores’ tour and the recorded Vaucanson’s Muse with Tom Arthurs. Trumpeter and composer Tom Arthurs has spent the best part of two decades honing his sound. Now he’s regarded as one of the most talented, and versatile British trumpeters of his generation. Almost seamlessly, Tom can switch between jazz and improvised music. As he does this, he draws inspiration from a wide range of influences. Everyone from John Taylor, Kenny Wheeler and Jimmy Guiffre to Berlin’s Echtzeitmusik scene and composers like György Ligeti, Luc Ferrari, Wolfgang Mitterer and Morton Feldman. That’s not forgetting filmmakers Andrei Tarkovsky and Jean-Luc Godard, baroque music, Gal Costa, David Sylvian and Arto Lindsay. They’ve shaped Tom Arthurs as a musician and composer. By the time Tom Arthurs was in his mid-thirties, word of this musical pioneer had spread far and wide. On both sides of the Atlantic, and across Europe Tom Arthurs’ music had been discovered by both an appreciative musical public and critics. They hailed Tom as a “a world-class improviser,” and described his playing: “as vulnerable as Miles Davis at his fragile best.” There was a simplicity and beauty to Tom Arthurs’ music, which was exacting as he knocked on the door of perfection. So it was no surprise that Tom was constantly busy, as a bandleader and collaborator. Tom Arthurs lead two different international trios. The first featured British pianist Richard Fairhurst and Finnish drummer Markku Ounaskari; while the second included French bassist Sébastien Boisseau and Swedish drummer Jon Fält. Away from his work was a bandleader, Tom has worked on a variety of collaborations and collective improvised projects. He’s also played alongside, and recorded with, Julia Hülsmann, Theo Bleckmann, Ingrid Laubrock, Dine Doneff Denis Badault and Eric Schaefer. Tom Arthurs has also a shared the stage with an eclectic selection of musicians. This includes many familiar faces, including John Surman, John Taylor, Kenny Wheeler, Benoît Delbecq, Jack DeJohnette, Régis Huby, Iain Ballamy, Thomas Strønen, Jan Bang, Nicolas Masson, Julie Sassoon, and Eddie Prévost. Other times, Tom shares a stage with what are regarded as the finest musicians of his generation. Among them are Marc Schmolling, Miles Perkin, M Philipp Gropper, Ronny Graupe and Wanja Slavin. They’re among many artists that Tom has taken to the stage with Tom. This also includes the Not Applicable collective. By October 2013, Tom Arthurs had been involved with the Not Applicable record label and collective for a number of years. The collective had recently secured funding from the Arts Council, for the six date Graphic Scores tour. It was scheduled to take place between the 3rd and 11th October 2013. So the Not Applicable collective headed out on the Graphic Scores tour. Leading the collective was pianist Joanna MacGregor. She was joined onstage by the combined and considerable talents of Oliver Coates, Elaine Mitchener, Tom Arthurs, Isambard Khroustaliov. Each night, they celebrated and charted the history of graphic scores. To do this, the collective revisited the work of John Cage, Cornelius Cardew, George Crumb, Wadada Leo Smith and Jenifer Walshe. For six nights, the music of these musical pioneers reached a new and receptive audience. Fittingly, the critically acclaimed tour ended in one of England’s most learned cities, Oxford. Buoyed and enthused by the tour, Tom Arthurs and Isambard Khroustaliov decided to record an album together. This was a first. Although the two friends had worked on albums before, they had never record an album together. Despite this trumpeter Tom Arthurs and electronic musician decided to record an album of improvised music, Vaucanson’s Muse. Recording of Vaucanson’s Muse took place at Coda to Coda Studios, in London during November 2013. A total of eight tracks were recorded. They were mixed by Tom Arthurs and Isambard Khroustaliov at Code Cole Studios, in February 2014. When it came to mastering, this took place at Abbey Road Studios. Alex Wharton mastered and cut what became Vaucanson’s Muse on a Neumann DMM lathe. It was then sent to Optimal in Germany to be pressed. Meanwhile, architect Will Alsop was hard at at work designing the album cover and the rest of artwork. It’s his interpretation of the music on Vaucanson’s Muse. Similarly, author and musician David Toop waxes lyrical, as he interprets the music in his sleeve notes. 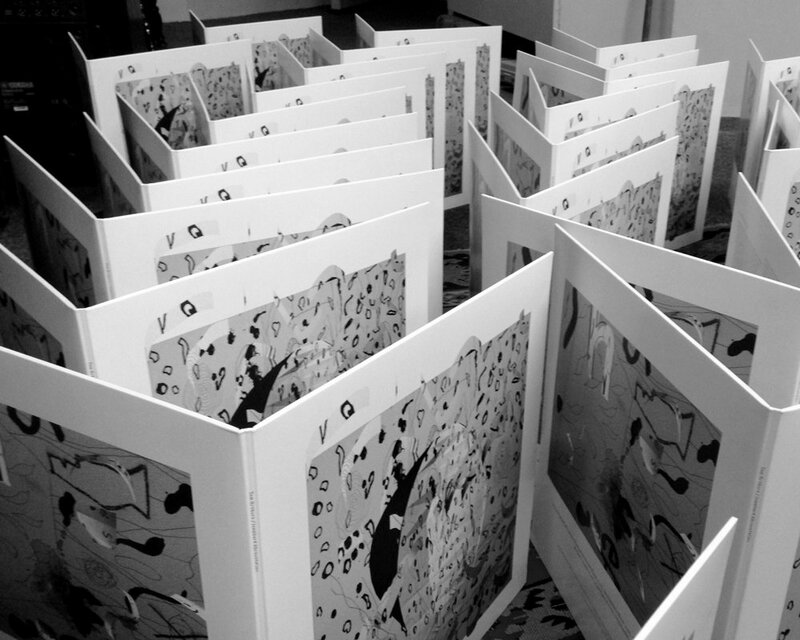 By the time the artwork and sleeve notes were completed, Vaucanson’s Muse had been pressed and was ready for release via Not Applicable’s Bandcamp Page. Vaucanson’s Muse was recently released as a limited edition of 300 copies, which are pressed in heavyweight vinyl, and features two musical pioneers, Tom Arthurs and Isambard Khroustaliov. Opening side one of Vaucanson’s Muse is On A Carpet Of Leaves Illuminated By The Moon. A trumpet wails, and soars high above the arrangement. It features a myriad of beeps, squeaks, clicks, crackles and bubbling sounds. They provide an alternative symphony, as Isambard Khroustaliov dig deeps into his array of sonic trickery. They’re manipulated, with sounds grinding as they’re played backwards. Other sounds tap out a code, that’s akin to computer’s chattering. Meanwhile, Tom plays with power and control. Later, he plays a with a subtlety, leaving space in the music that takes on a ruminative and wistful beauty. Gently and tenderly, Tom plays his trumpet on Vaucanson’s Muse. It brays softly as Isambard adds a variety of clicks, crackles and rustling sounds. They beep, squeak and buzz menacingly, as he he becomes a modern day Jimi Hendrix unleashing, but somehow controlling this array of disparate sounds. They’re panned, as they move across and then up and down the soundscape. Meanwhile, the trumpet squeals, squeaks and shrieks becoming part of an alternative and futuristic orchestra. Later, the arrangement becomes minimalist, with rustles, beeps, squeak and bubbling sounds accompanying machinelike sounds and short bursts of trumpet. They merge into one, becoming part of captivating soundscape, that pays homage to not just the pioneers of graphic scores, but those that were at the forefront of improvised, avant-garde and experimental music. They’ve obviously influenced Tom Arthurs and Isambard Khroustaliov. Grace Jones is one of the shortest, and most melodic tracks on Vaucanson’s Muse. Isambard puts his array of electronic equipment to good use. What sounds not unlike a fax machine is at the heart of the glistening, shimmering arrangement. It’s carefully crafted, and as it meanders along, takes on a space age sound. Later, Tom sprays bursts of trumpet, and takes care not to overpower the rest of arrangement. His trumpet becomes part of what’s a melodic, space age soundscape. Trajets closes side one of Vaucanson’s Muse. Tom’s trumpet blazes, soaring high above the crackling, bristling and beeping arrangement. Occasionally, Tom answers his own call. By then, the arrangement has taken on a edgy, experimental sound. Other times, it veers between futuristic and understated, as it becomes a robotic symphony. Then when Tom’s trumpet enters, he plays within himself. There’s no blazing, scorching solos. Instead, he plays carefully and thoughtfully, adding a warm, melodic sound. It’s a contrast to other parts of this experimental sounding arrangementm which bristles, beeps and squeaks. They’re joined by washes of eerie chatter while the muted trumpet plays. Together, they create a captivating, cinematic soundscape that would be the perfect soundtrack for a short sci-fi film. Cant’ Unsee opens side two of Vaucanson’s Muse. In the distance a droning synth plays. Soon, it’s joined by a rasping trumpet, that’s played softly. It picks out a melody, before embarking on brief sonic excursions. Always, Tom returns to the memorable melody. Meanwhile, the beeps, squeaks and bubbling sounds that provided a backdrop for the haunting beauty of the trumpet. Soon, it’s been joined by what sounds like an engine. Coupled with the futuristic beeps, cheeps and squeaks, and the haunting beauty of the trumpet, it again sounds like the soundtrack to another space age voyage of discovery. Beeps, cackles, crackles and squeaks join the squealing, shrieking trumpet on Irina Piperin. They’re joined by samples of water dripping and a myriad of clicks and crackles. Tom’s transforming the trumpet, so that he can too can help shape this soundscape. To do this, he has to eschew playing with speed and fluidity. Instead, he improvises, as gruff, croaking notes fall from his trumpet. They’re part of what’s a understated but somewhat eerie, edgy soundscape. It’s not unlike walking down a dark, deserted city street as one’s mind starts playing tricks. This is the case here, with everything from clicks and crackles to a rumbling sound and the scampering, braying and squeaking trumpet. They’re part of a eerie and unsettling soundscape, that’s sure to set the listener’s mind racing. Sea Interval closes side two, and indeed, Vaucanson’s Muse. A drone takes centre-stage, before Tom adds a rasping trumpet. It’s played with a subtlety, and becomes part of the meandering, multilayered arrangement. Still, the drone is at its heart, as the trumpet is omnipresent, as the trumpet probes and rasps, adding a melancholy hue. Later, short urgent blasts of the trumpet punctuate the arrangement as it takes on a melodic and thoughtful sound. It’s a case of saving the best until last. Key to the sound and success of Sea Interval is the relationship between Isambard and Tom. Isambard Khroustaliov is the perfect muse for Tom Arthurs, and ensures that he reaches new heights. As a result, Sea Interval showcases the considerable and combined talents of Tom Arthurs and Isambard Khroustaliov. That has been the case throughout Vaucanson’s Muse. It features two musical pioneers, who come from very different musical backgrounds. They’ve worked together many times, but never have recorded an album together. That was until they returned from the Not Applicable collective’s Graphic Scores’ tour. Buoyed by the success of the critically acclaimed tour, Tom Arthurs and Isambard Khroustaliov entered the studio and recorded Vaucanson’s Muse back in November 2013. However, it was nearly three years before the album was released in late October 2016. Vaucanson’s Muse which was recently released via Not Applicable’s Bandcamp Page has been worth the three year wait. From the opening bars of On A Carpet Of Leaves Illuminated By The Moon, right through to the closing notes of Sea Interval, Tom Arthurs and Isambard Khroustaliov push musical boundaries. To do this, they combine elements of ambient, avant-garde, experimental and improvised music. The result is music that’s variously cinematic, edgy, eerie, futuristic, melodic, melancholy and ruminative. It’s also music that’s guaranteed to set the listener’s mind racing, as Tom Arthurs and Isambard Khroustaliov take the listener on a sonic voyage of discovery. All the listener has to do, is submit to the music, and enjoy its nuances, subtleties and its plentiful supply of surprises. If they do, they will be richly rewarded. Vaucanson’s Muse finds two musical innovators uniting, to create a groundbreaking album of music, where Tom Arthurs and Isambard Khroustaliov follow in the footsteps of the pioneers of graphic scores. ← MILT JACKSON-SUNFLOWER AND GOODBYE.